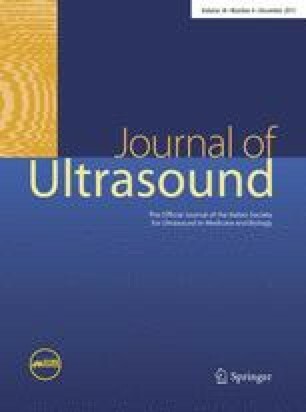 Nodular thyroid disease is a very common finding in clinical practice, discovered by ultrasound (US) in about 50 % of the general population, with higher prevalence in women and in the elderly [1, 2, 3, 4]. Whereas therapeutic flowchart is quite established and shared for malignant lesions, multiple options are now available for patients presenting with benign thyroid nodules, ranging from simple clinical and US follow-up to thyroid surgery. The majority of thyroid nodules, benign by fine-needle aspiration, are asymptomatic, stable, or slow-growing over time and require no treatment. The authors (Roberto Garberoglio, Camillo Aliberti, Marialuisa Appetecchia, Marco Attard, Giuseppe Boccuzzi, Flavio Boraso, Giorgio Borretta, Giuseppe Caruso, Maurilio Deandrea, Milena Freddi, Gabriella Gallone, Giovanni Gandini, Guido Gasparri, Carlo Gazzera, Ezio Ghigo, Maurizio Grosso, Paolo Limone, Mauro Maccario, Luigi Mansi, Alberto Mormile, Pier Giorgio Nasi, Fabio Orlandi, Donatella Pacchioni, Claudio Maurizio Pacella, Nicola Palestini, Enrico Papini, Maria Rosa Pelizzo, Andrea Piotto, Teresa Rago, Fabrizio Riganti, Lodovico Rosato, Ruth Rossetto, Antonio Scarmozzino, Stefano Spiezia, Ornella Testori, Roberto Valcavi, Andrea Veltri, Paolo Vitti, Matteo Zingrillo) have no conflict of interest to disclose. The study described in this article does not contain studies with human or animal subjects performed by any of the authors.